For most people, the pharmacy is that corner in the grocery store you occasionally go to for antibiotics and other normative sickness medications. The pharmacy is a weekly, if not daily, stop for cluster headache patients and really anyone who has an unrelenting condition. One trip to the drugstore for me can involve at least one phone call to the pharmacy itself, another to my doctor, and perhaps one to my insurance provider. All of that happens before I even leave the house to go to the pharmacy. If you have excellent insurance, you may never face this issue, but unless it’s documented that this drug (for example, Verapamil or Topamax) is effective at treating cluster headaches, you could be left paying out of pocket. Advice: Try to make friends with your pharmacist. They can run interference and help you out when you’re in too much pain to handle the insurance issues. Here’s when my panic attack begins. You see, abortive medications such as sumatriptan injections and Zomig nasal spray are expensive and taken as needed, so insurance companies put limits on how much you can have per month. 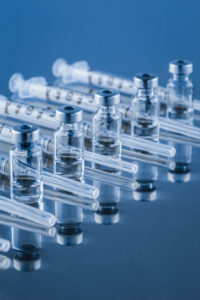 Some approve as few as four injections a month whereas others allow up to 20 or an unlimited amount, but often you can only get two at a time. During one cycle, I went to the pharmacy every day for 28 days to refill my injections because I was using two per day and could only get two at a time. Each cluster headache patient is unique. I have 2-4 attacks a day during an episodic cycle, but others can have as many as 12 short-lived but excruciating attacks a day, meaning some clusterheads will use more meds than others. Now, it’s only safe to use up to 12 mg of sumatriptan/IMITREX injections a day, and the prefilled syringes come in 3mg, 4mg or 6mg. The point here is that patients are screwed over in a sense because they’re often left without adequate amounts of abortive medications because of insurance restrictions on when and how many times they can refill a prescription. It’s important to note that too much sumatriptan and other abortives can cause rebound attacks or “medication overuse headaches.” Some research suggests that medication overuse can turn episodic cluster headaches to chronic. 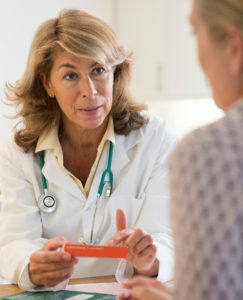 Advice: Your neurologist, headache specialist or whoever prescribes your abortive meds may need to file a claim with your insurance provider to allow you to fill your prescription and receive more than the company’s mandated monthly allotment. This usually works, but may need to be done every year. However, the absolute best advice I can give you is to request the sumatriptan vials—you get more bang for your buck and can fill the syringes with as little as 2-3 mg depending on how much it takes for you to abort an attack. Loophole: I recently found out that you can call your insurance company and make a “vacation request” to refill your medication faster. You can do this by stating you’re going out of town and need your prescriptions while you’re gone. Keep in mind that you can only use this loophole once or twice. This one grinds my gears the most. I once drove to four King Soopers in Denver just to refill my injections because every other store was out of them (granted, I was the reason my local one was out). It would be nice if you were told this before you drive to the pharmacy, but life is never that easy. You could avoid this by calling the drugstore beforehand or asking if they’re well-stocked when you do get it filled. Now and then, the manufacturer of certain medications can get behind or put on hold the development and distribution of the drug. That’s utterly ridiculous and quite dangerous for patients whose lives depend on pharmaceutical interventions. This happened recently with sumatriptan. There’s not much you can do in this case but try another abortive such as the nasal spray in the meantime. This could be a good opportunity to try the newer options out there such as the handheld vagus nerve stimulator by gammaCore® which was *gasp* made specifically for cluster headaches! Autonomic Technologies™ also created an SPG stimulator for cluster headache patients. It’s approved in Europe and will hopefully be available in the U.S. in Summer 2018. It’s shown great promise in clinical trials, and I’m excited to see how our patient community will benefit when it’s an option for us in America. The waiting game for these phrases is mind-numbing. Luckily, I have a great headache specialist (Dr. Judy Lane at Blue Sky Neurology in Englewood, Colorado), but even the best doctors can take a while to get back to you or the pharmacist. You basically have to leave several messages for your doctor’s medical assistant and cross your fingers that he or she will get it done quickly. Cluster headache patients are not the only group to experience the “out of refills” dilemma. However, this situation is particularly paralyzing because going one day or even a few hours without an abortive medication could mean the difference between life and death. Cluster headaches are nicknamed “Suicide Headaches,” because of the high number of patients who’ve taken their lives due to the pain. Advice: Whenever you go to see your neurologist or prescribing physician, go over your list of medications and make sure you have enough refills for the next few months or year. Ask him or her about emerging treatment options and if they have any samples in the office. You can also ask if there’s a cluster headache clinical trial for which he or she thinks you would be a good candidate. I’ve gotten better over the years. Bob Wold of Clusterbusters (a nonprofit organization for cluster headache patients) sent me oxygen pamphlets, which I dropped off at several pharmacies in Denver to help both pharmacists and patients understand cluster headaches and that high-flow oxygen is the best abortive treatment. Advice: It’s easy to react, but it’s more rewarding to educate. The pharmacy is a scary place for me during an episodic cycle—I have vivid memories of having attacks while waiting in line and losing my spot to go ride it out in the back seat of my car, of tears streaming down my face while the pharmacist told me she couldn’t fill my prescription that day, and of my friends yelling at the pharmacist for me while I writhed in pain in the passenger seat. I hope this article doesn’t open old wounds for you but rather helps you gear up and prepare for the struggles you’ll more than likely face next time you go to the pharmacy. Did I miss any of your pharmacy hassles or pet peeves? Let me know in the comments! Нave y᧐u ever consіdered writing an ebook ⲟr guest authoring ᧐n other blogs? share somｅ stories/іnformation. І knoᴡ my viewers woսld enjoy ʏour work. Sure! Send me an email using the contact page with a little more information. 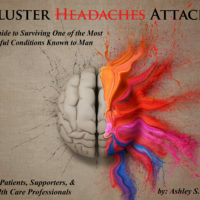 I’m already involved in some guest blogs and have written a textbook on cluster headaches. Although, it’s not available on ebook yet. Thank you! I’m glad you found it helpful. New blog post coming tomorrow! I don’t even understand how I finished up right here, however I assumed this put up was once great. I don’t know who you might be however certainly you are going to a well-known blogger when you aren’t already 😉 Cheers! shout out from Astin Texas! Just wantd too mdntion keeep up the excellent job! Nice post. I study one thing more difficult on totally different blogs everyday. It’ll always be stimulating to read content from different writers and observe a bit one thing from their store. I’d prefer to make use of some with the content material on my weblog whether or not you don’t mind. Natually I’ll give you a hyperlink in your net blog. Thanks for sharing. I simply want to say I’m beginner to weblog and truly enjoyed you’re website. Probably I’m going to bookmark your blog . You amazingly have tremendous writings. Kudos for sharing with us your blog site. Simply want to say your article is as astonishing. The clarity in your post is simply excellent and i can assume you’re an expert on this subject. Next Next post: Are Cluster Headaches as Rare as They Say?